Discussion in 'iPhone and iPad Games' started by PeteOzzy, Oct 23, 2014. 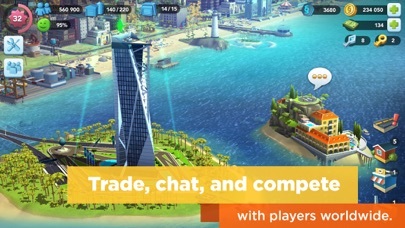 Free + IAP + internet connection, no thanks EA. Just downloaded it. I'll give it a try. 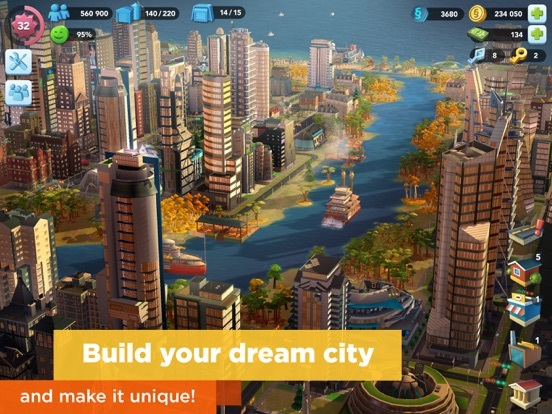 I've been looking for a good Sim City type game since Sim Coty Deluxe although with EA's track record, I'm not too optimistic. EA. I'm sure it's terrible. But I'll keep my fingers crossed. Let's see how EA manages to screw this one up. 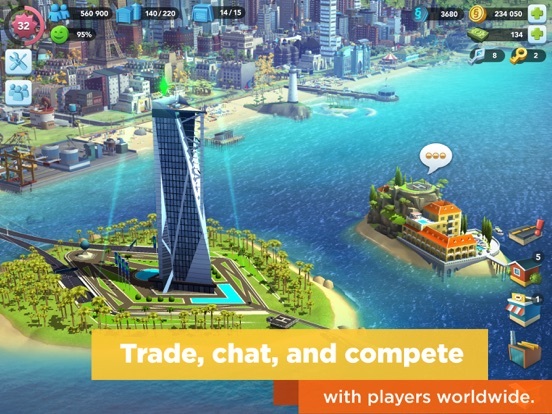 Trading goods with friends makes it sound like all the other crappy city building games. 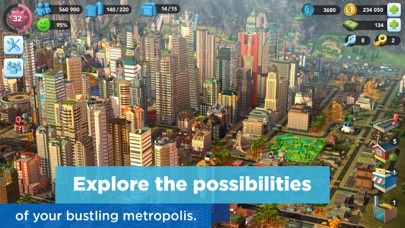 I'm sort of curious how far this game would have got if it didn't have EA listed as the producer, or "Sim City" anywhere in the title. Well, I've played about 20 minutes into the game and so far it's pretty cool. I mean, it all depends on how you stand on the ol' F2P thing. Almost all the city builders I've played in the past couple years are the pretty much the same. Free to play, timers, dual currency, ect. lol, why would this one be any different? It's the usual, wait for stuff to build, make supplies, use supplies for building more buildings, rinse and repeat. I will say that this is the best looking city builder I've played by far. The ability to see everything from any view is a welcome change. Right now nothing is too expensive and timers aren't more than 5 minutes. I'm sure that will change though. 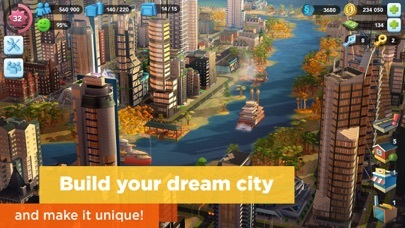 I'd say if you're into city builders and have a NZ account, it's definitly worth a try. I think it not the FTP that's the problem. 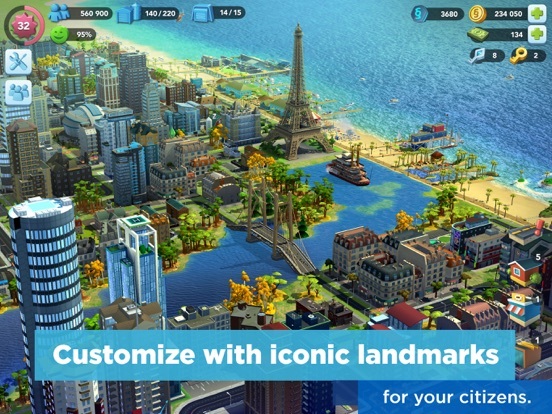 SimCity is about experimenting and building a city with imagination, in essence the entirety of "God Game" genre that EA was used to be known for. The problem with FTP is the fact one cannot do this. Experimentation isn't possible or you'll be losing important money for upgrades. 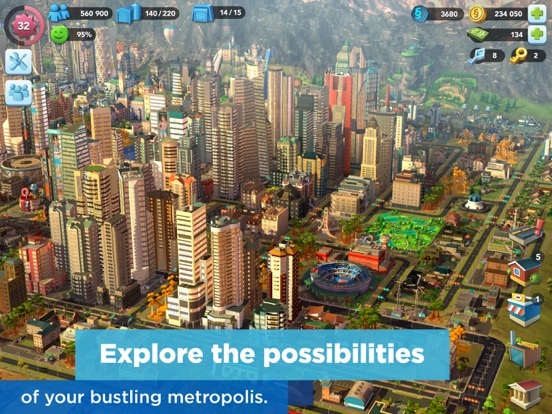 At this point the game becomes tedious and no longer part of the "God game" genre that SimCity was known for. 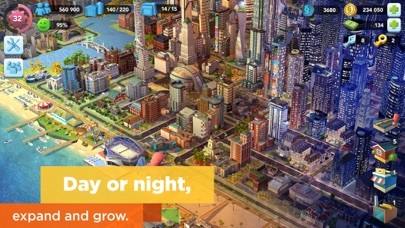 I know when I played SimCity I had fun blowing stuff and changing layout for the fun of it. You cannot do this without consequences and those consequences aren't fun. This essentially is another Clash of Clans with new graphic engine and natural disasters that nobody wants since it might caused them to spend a few of those precious premium gems. Was really hoping this would be just a mobile port of the PC game. Ugh. I'm not getting into another farm resources, wait timer, game. Yea, that's pretty much what it's turning into. Like all of these games, at first I was building all kinds of stuff. 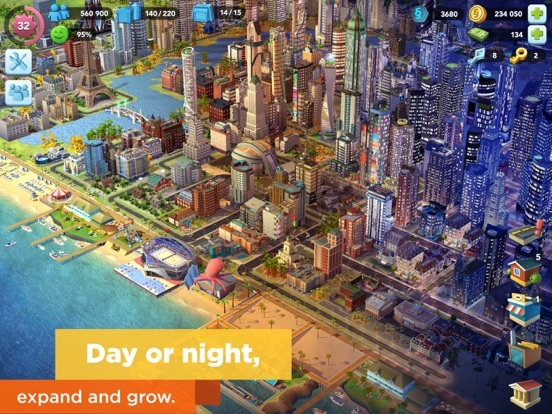 I thought EA maybe had a change of heart or something, then after the first hour or so once I had all my factories up and running and my buildings were getting bigger, they started needing resources that take hours to make and then...........the money first given to you runs dry. I'm making a couple hundred dollars a day in taxes and everything I need is in the thousands. 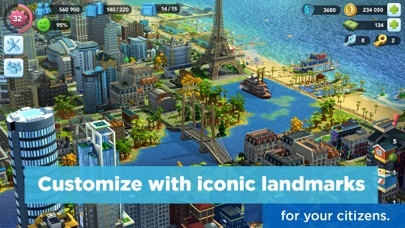 It's still one if the best looking city builders I've played on my phone, but it looks like it's gonna be a lot of waiting. I'll stick it out for a few more days and see how it plays out, but it's looking pretty grim right now. I wonder if this is going to be fun with a fair IAP implementation. Thanks for the reply. I might download it and give it a try, but it doesn't sound good from your point of view. Not even going to start this. Why waste time and effort just to hit the pay wall in a few plays. This could have been excellent, but it looks like another cash-grabbing piece of garbage. How the mighty EA has fallen ! I remember, lo these many years ago, when the EA logo was a sign of quality and integrity. Now ? Nothing but craptastic junk. Really a sad state of affairs. No permanent internet connection is required.